Have you heard of the VSOC program? 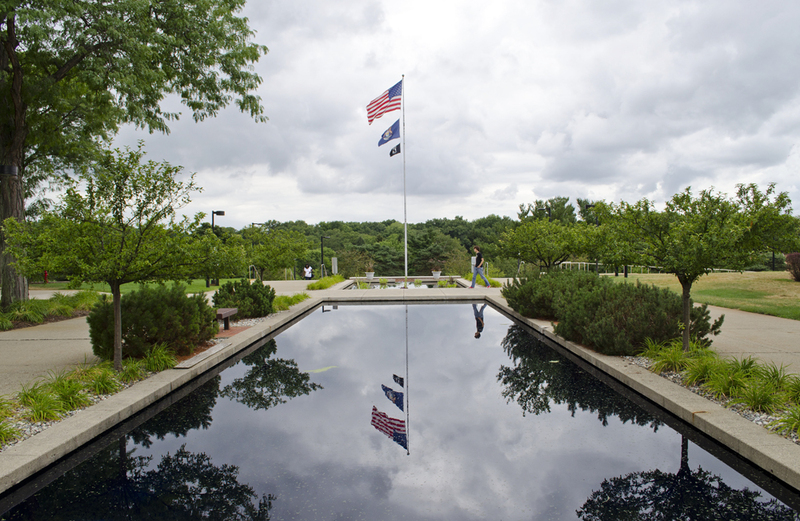 It stands for the Department of Veteran’s Affairs (VA) VetSuccess on Campus program – and Kellogg Community College is a location spot! Through the VSOC program, the VA places experienced vocational rehabilitation counselors on college campuses to assist the growing number of service members, veterans and dependents attending school under the Post-9/11 GI Bill and other VA educational programs. These VSOC counselors are trained to provide academic and vocational guidance to veterans, and help connect them to other VA benefits including health care and mental health services. The VSOC counselors maintain close relationships with local VA vet centers and VA medical facilities, referring service members, veterans and dependents as needed and providing assistance to those applying for VA medical and nonmedical benefits. KCC VSOC Counselor Brent Haddow can be found in the Support Services office on the College’s North Avenue campus in Battle Creek. VetSuccess on Campus services are available to service members and veterans eligible for any of the VA’s educational programs, including the Post 9/11 GI Bill and Montgomery GI Bill, as well as the VA’s Vocational Rehabilitation and Employment Program. VSOC counselors can also assist dependents of veterans who are receiving VA education benefits, including eligible spouses attending school through the Post 9/11 GI Bill, and eligible children. In addition, the VA’s Education and Career Counseling Program offers a great opportunity for transitioning service members and veterans to get personalized counseling and support to guide their career paths, ensure the most effective use of their VA benefits, and help them achieve their goals. Visit KCC’s VSOC counselor on campus to learn more about this program. The VA’s GI Bill website offers tools to help veterans transition from military service to student success. For career assistance, including connecting to employers looking to hire service members, veterans and dependents, the new Veterans Employment Center on eBenefits is a one-stop-shop offering online tools and resources.